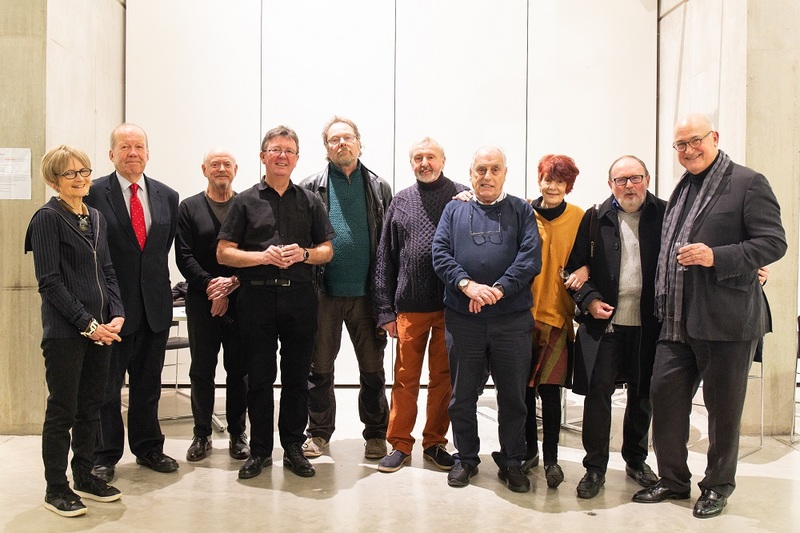 Manchester School of Art’s graduating class of 1969 have reunited for a special 50th anniversary exhibition – the first time they have displayed work together in five decades. 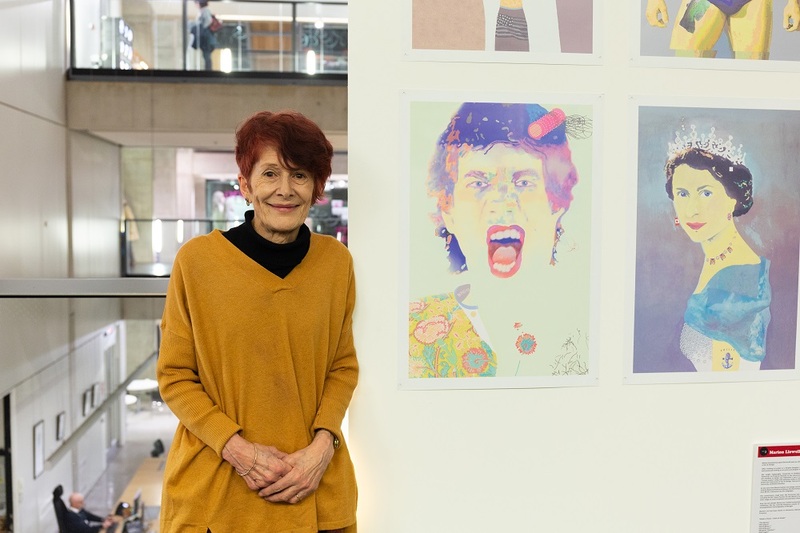 ‘Why don’t you get a proper job?’, the third annual ‘Legacy’ exhibition in the Benzie Building that shows work of School of Art graduates, celebrates a dozen former students’ half century of success in the visual arts. The exhibition acknowledges the impact of the School of Art on their subsequent professional lives, showing their work both as a student and professional practitioner. It also shows work from two alumni who have sadly since passed away. Exhibiting alumni gathered for a special preview in the Benzie building on Thursday, where they were welcomed back to the University by Penny Macbeth, Dean of Manchester School of Art. Macbeth said: “We are honoured to welcome back our graduating class of 1969 for this very special exhibition. “The School of Art has a deep and enduring relationship with our alumni community – we are always delighted when they choose to return and share their work and professional insights with current students. 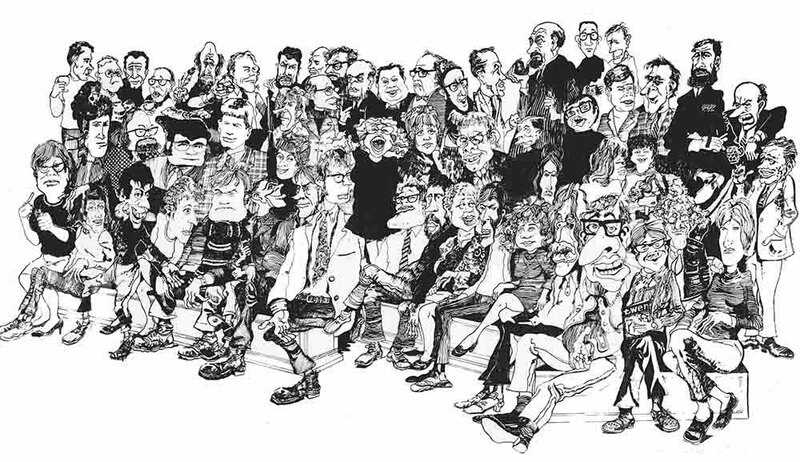 A number of students, mainly from the graphics and illustration courses, stayed in touch after graduating from Manchester College of Art & Design in 1969. Since then, the group have developed prolific practices in visual arts fields as diverse as art direction, fine art, illustration and printmaking. They include a regular exhibitor at the Royal Academy of Art’s Summer Exhibition and an artist who had work commissioned by the Canadian government, art directors who have worked on high profile campaigns for Smirnoff, Bell’s and Heineken, the owner of an advertising agency and a cartoonist whose work featured in the first television advert for the National Lottery. The School of Art has a deep and enduring relationship with our alumni community – we are always delighted when they choose to return and share their work and professional insights with current students. Marion Llewellyn moved to Vancouver a few years after graduating, where she had her own design consultancy for 20 years before turning to painting. She has had five solo shows and has exhibited in Montreal, Vancouver and Portland. She said: “It’s incredible how everyone has diversified and even though we all did a graphic design degree, we have branched out into painting, digital design, advertising. I sincerely believe the education we received here had an enormous impact on us. “Coming from the south it was such a different culture in Manchester and I just loved it. Manchester is a fabulous city – I always sensed it was a very creative city and had a lot of freedom to express yourself. I didn’t recognise anything coming back but the Benzie Building is phenomenal – the campus is fabulous, it’s so well designed. Bryan Brown established the first design company to become a public company in 1980, and his most recent business The Brown Partnership advised SMEs on developing business plans, marketing, communication strategies and general management. He said: “It’s been absolutely wonderful coming back - 50 years is a long time and we’ve stayed in touch all this time. “The Benzie Building is a fantastic building and so is the multidisciplinary nature – the fact that different design courses work so close to each other is really important. I chose to come here in 1966 because it was interdisciplinary and that’s been sustained, which is great to see. Paul Garrett - Chairman & Creative Director of Fourhead, a creative independent whose clients included Sainsbury’s, Volkswagen & Clarins. Robert Heesom – Senior Art Director and Painter who worked for Saatchi and Saatchi and Roles and Parker, before going freelance and working with clients including IBM, TSB, British Gas and Ernst & Young, before returning to his true passion of portraiture. ‘Why don't you get a proper job?’ is open in the Benzie Building until Thursday February 14.